Nothing prepares you for the grief that you experience after you have a baby with disabilities or with additional needs. We read all the baby books. We went to all the childbirth classes. We learned about car seat safety. We baby proofed the house. We had check lists. All of her baby clothes were washed, diapers lined up on the changing table, and sweet little pink socks were tucked neatly in the dresser. And then Callie was born — nothing we had read, experienced in the childbirth and parenting classes, or prepared for made a difference. When they tell you your baby girl will have to be transported via helicopter to have open-heart surgery, that wasn’t in the childbirth book. When the doctor holds your hand and tells you to prepare for the worst, that definitely was not covered in any of the classes we attended. When you see your normally strong husband crumble, I don’t remember that being talked about at any of our appointments. When you spend the first two months of your baby’s life in the NICU, there’s no book that prepares you for that. Nothing prepares you to make the decision to amputate your baby girl’s leg. Nothing prepared us for the wall of grief that hit us as we mourned the life we believed we “should” have had. Nothing prepared me for the guilt that settled in my chest. Nothing prepared us for the amount of doctor’s visits, medications and therapy appointments. Nothing prepared us for the realization that our pace would be slower and not the same as others. Nothing prepared us for our milestones being very different… but none the less triumphant. Nothing prepared us for the excitement of being off all of her medications. Nothing prepared us for the way our hearts exploded when she took her first step with her new prosthetic leg. 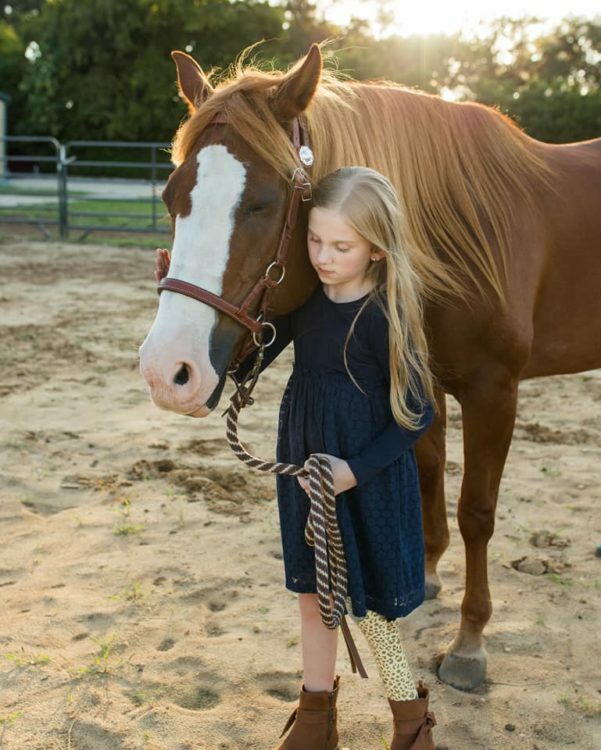 Nothing prepared us for the way we would tear up when we saw her ride her horses. Nothing prepared us for the amount of pride we had when we saw her handle her disability with courage and grace. Nothing prepared us for when she got up and walked 24 hours after her second open-heart surgery. Nothing prepared us for what a little warrior she would become. Nothing prepared us for her brave, beautiful, kind, sweet and funny little soul she is. Nothing prepared us for the amount of love, joy, peace, laughter and happiness she has brought to our life and the lives of everyone who knows her. I am the Mama of a little warrior princess. Our daughter is a lower limb amputee that has survived 2 open heart surgeries. You can follow our journey at @theprincessandtheprosthetic on Instagram.